The police have pulled down the tape and we are back in the office. 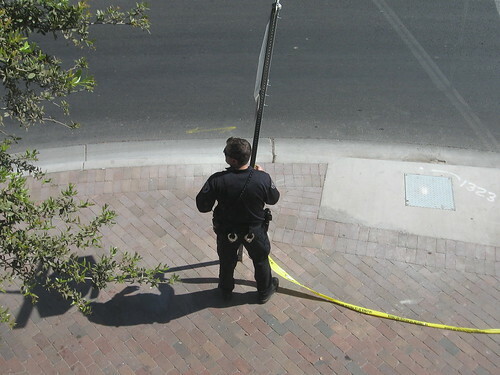 The suspicious package lunch box has been destroyed by the Tempe Bomb squad. No word on the status of the ham and cheese sandwich.